AFA Pre Rub Bumblebee Bluestreak Megatron 4 Sale! Discussion in 'Transformers On Ebay' started by Da_Last_2_Walk, Jul 23, 2010. 1984 Pre Rub Bumblebee (Red) AFA 75 MOSC for sale. 1984 Pre Rub Bluestreak (Silver) AFA 85 MISB for sale. 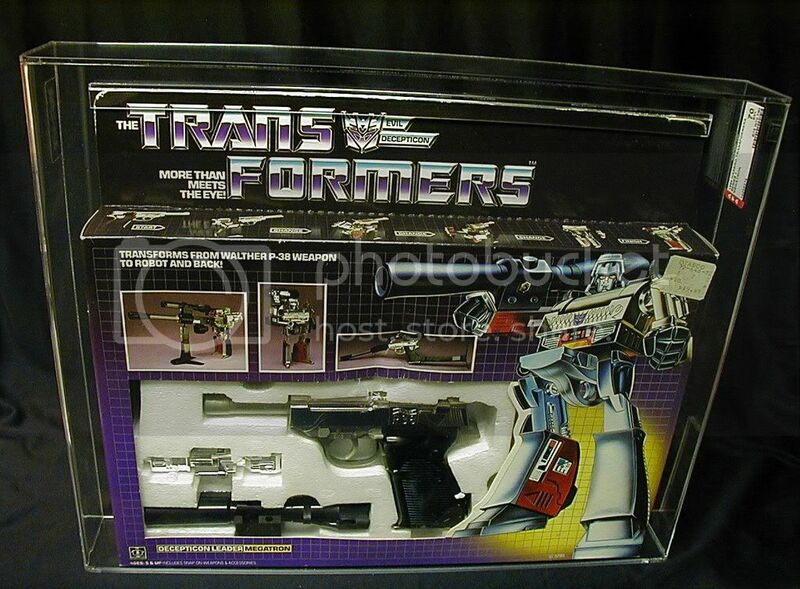 1984 Pre Rub Megatron AFA 70 MISB for sale. da last 2 walk items - Get great deals on Transformers, optimus prime items on eBay.com! Sold that Galvatron, eh? Oh well. One of these days I will have one of my own. No, I still have the AFA 85 Galvatron. Ebay pulled my AFA 70 Pre Rub Megatron auction! I'm asking $1750 and I'm accepting offers/payment plans. So they pulled it huh? Is it because of the orange tip issue? I gotta say, that gets old. I'll trade you a complete set of 1st series robot heroes misb for that Megs. The picture I used in the auction had an orange tip. Somebody probably reported the auction, as I listed the Megatron before without any problems. Wow. Makes me think somebody has a vendetta against you. Especially if you used an orange tip in the auction picture. Probably another eBay "white knight." Sorry, but I already have an AFA 90 set of Robot Heroes.....I'll trade for an AFA 90 Wheelie! Glad I was able to help you out regarding the MOTU.....And if you ever have a question regarding She-Ra, don't be afraid to ask! I'll find out from ebay how to legally re-list it. Man, those are super nice. Too rich for my blood, but I hope whoever ends up with em is very happy. AFA 70 pre rub Megatron is still for sale.